Renting In Cathedral Hill: What Will $2,600 Get You? Curious just how far your housing dollar stretches in Cathedral Hill? We've rounded up the latest listings via rental site Zumper to get a sense of what to expect when it comes to finding an apartment in this neighborhood on a budget of $2,600/month. Note: these prices and availability are subject to change. 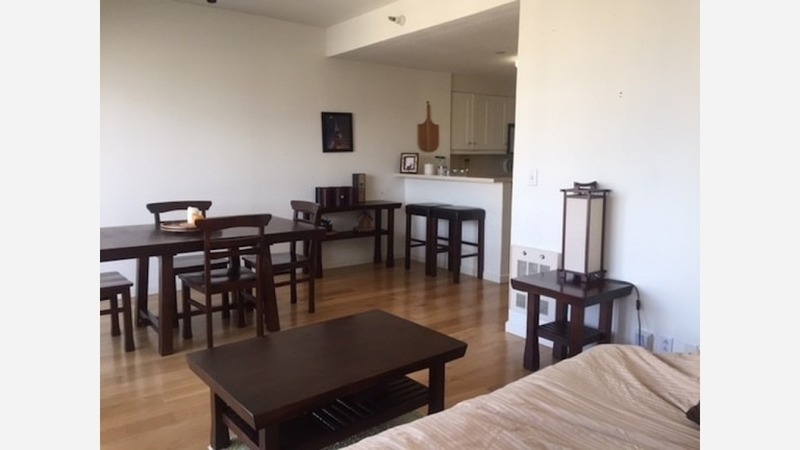 Listed at $2,595/month, this studio apartment is located at 1 Daniel Burnham Ct. In this furnished unit, you can expect hardwood floors, stainless steel appliances, a walk-in closet, ample storage space, floor-to-ceiling windows and built-in bookshelves. Building amenities include on-site laundry, garage parking, outdoor space, a swimming pool, a fitness center, a roof deck, an elevator, secured entry and on-site management, but pets aren't allowed. Next, this studio apartment at 1333 Gough St. is listed at $2,550/month and offers 635 square feet of space. This unit features plenty of natural light, carpeted floors, ample closet space and an oven. Amenities offered in the building include a door person, on-site laundry, assigned parking, a fitness center and on-site management. Cats and dogs aren't permitted. Here's a studio apartment at 1755 Pine St. that's also going for $2,550/month. Tenants will find the unit includes hardwood floors, a walk-in closet, bay windows, ample natural light, a ceiling fan and French double doors. When it comes to building amenities, anticipate on-site laundry, but fans of the four-legged should keep looking.